finally got around to uploading SRR bgm. (I didn't do any editing though, just uploaded em all, manichchukOngo!). Wow! Thanks a lot KV for this superb effort. Can't wait to listen to it. Will have to devote sometime this weekend exclusively for this. 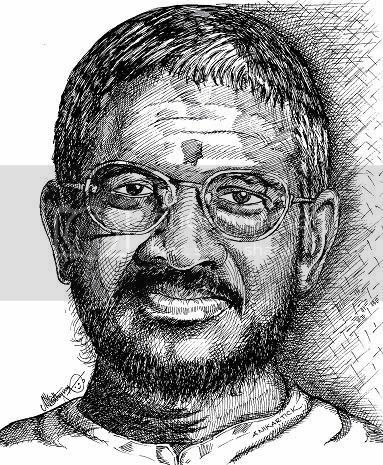 A special mention must go to maestro Illaiyaraaja, who has given the music for the film. Few men can come up with melodies that go with the moment or the occasion like the great man, and his music is an asset to this film. Be it the ‘Ganpati Ala’ track or the songs sung by Sukhwinder, Kailash Kher and Hariharan respectively, the music is from the soul - not the kind that would find its way into iPods across the nation, but the kind which one would *not* fast-forward while watching on DVD. One only wishes that Illaiyaraaja does more films, even if they are regional or offbeat. Outsiders often get what is IRs music about, Tamil reporters, even many hubbers don't. Any idea about this film "Mudhalvar Mahatma": http://www.thehindu.com/news/states/...cle2726867.ece The movie has 7 songs! heard about this film sometime ago but didnt know that it had so many songs. Is the audio out? Happy New Year to all fans..! This thread has become too long.. Anyone wants to create a new thread for 'New albums 2012'..? I have also done a review of his 2011 in the same thread. So please read and put in your comments.